There are days when I feel lazy to cook but a wife’s gotta do her duties. I’m not obliged to prepare dinner, but I love doing it for my husband. Like most every guy I know, he’s not a healthy eater so when I’m around, I make sure he eats something nourishing. 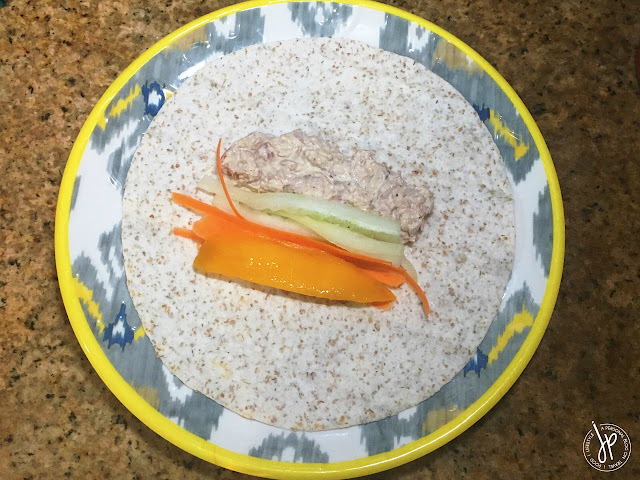 This Tuna Pocket Wraps is perfect for those who want to eat a healthy meal but only have little time to prepare. Also, if you have a husband child who doesn’t want to eat vegetables, this is one way to trick him into eating a nutritious meal. 1. Drain well 2 cans of tuna chunks and place in a bowl. Add Kewpie, freshly ground pepper, crushed pepper flakes, and salt. Mix well. 2. On a plate, place one whole wheat tortilla. Scoop less than 1 tbsp of tuna filling and place on the center of the tortilla. 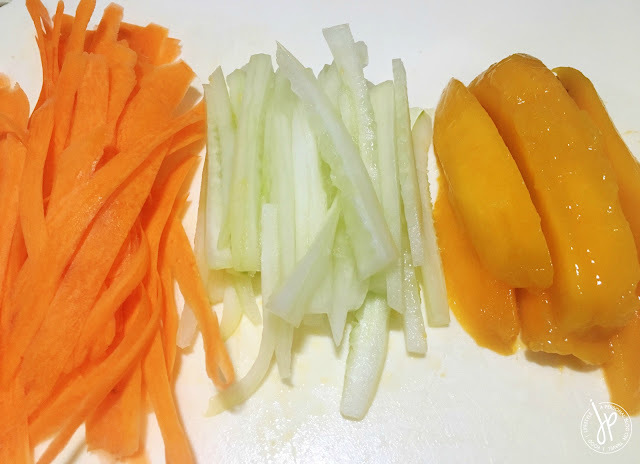 Add a slice of mango and a few strips of carrots and cucumber. 3. Lightly fold the sides of the tortilla first, fold the top next, and then fold the bottom last until all the fillings are wrapped in a rectangular pocket. 4. Repeat steps 2 and 3 until you finish preparing all tortillas. Serve with green salad or eat on its own. 1. I used Century Tuna Chunks in Water in this recipe, but you can use a different brand as long as you drain the water completely. 2. I thinly sliced the carrot using a peeler. 3. 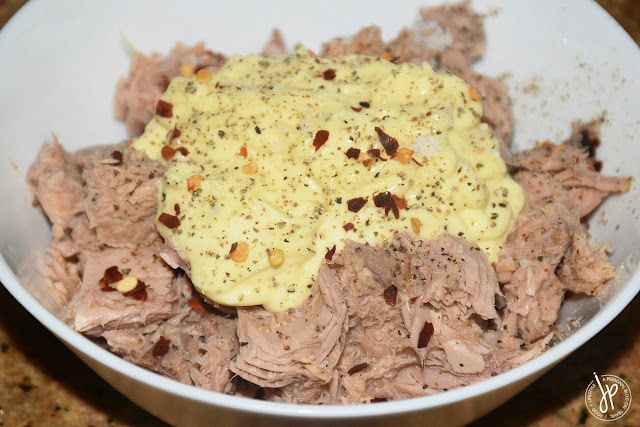 You can add a tbsp of calmansi or lemon juice in the tuna mix for added zest. 4. Lightly fold the whole wheat tortillas so they don’t tear. 5. It can last up to two days if you put the tuna wraps inside the fridge. 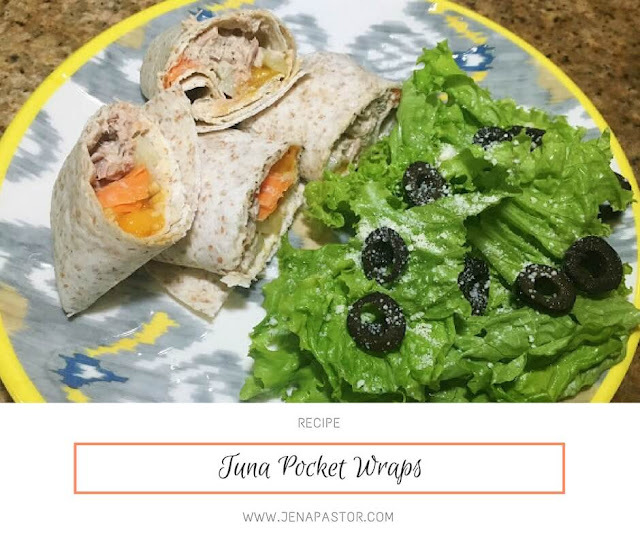 These Tuna Pocket Wraps are perfect for baon or meal prep. Preparing this will also save you money from food expenses. 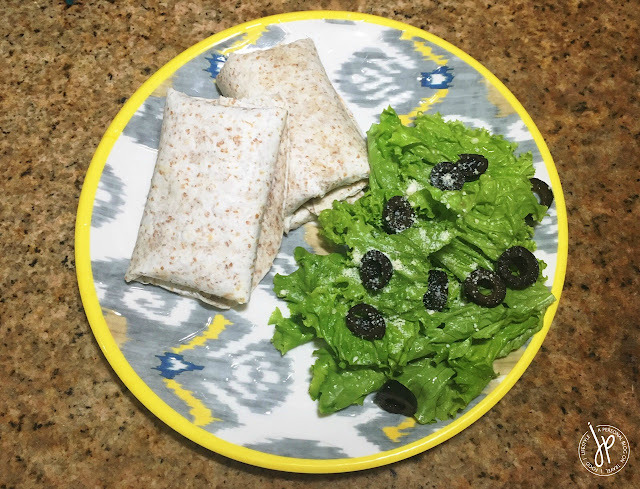 Share this recipe and let me know what other ingredients you put in your wraps. Take a photo of your version and tag me on Instagram!